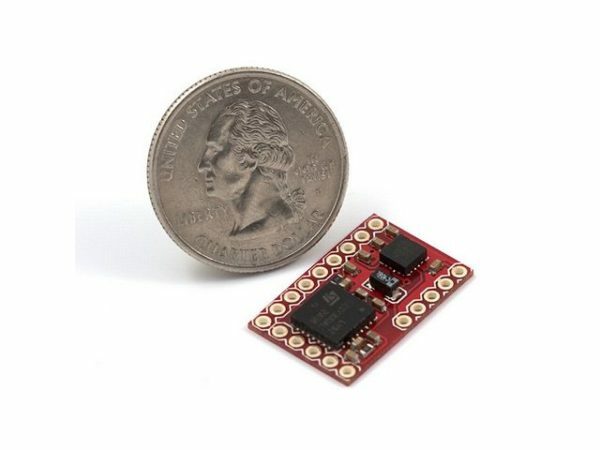 The Arduino-compatible IMU is a project by Chris Anderson and Jordi Muñoz to create an AHRS (attitude heading reference system) for UAV control and general motion capture. This is the main board for the ArduIMU 6DOF. By itself, this board works as a 4DOF — it produces three axes of acceleration and one axis of angular velocity data. This board can be connected to up to two Ardu 6DOF daughter boards which will each add one more axis of angular velocity information.